If a bad crack or chip in your windshield has you worried that you might be facing expensive repairs or even a complete windshield replacement, relax! Most cracks and chips can be repaired, leaving the windshield as strong as ever. SuperGlass offers Littleton CO windshield rock chip and crack repairs that are fast, convenient and performed at your location. Whether you schedule our Littleton mobile windshield repair for your personal vehicle or a commercial fleet, you’ll enjoy the same professionalism and attention to detail. One of our technicians will arrive wearing a SuperGlass uniform and will begin by evaluating the crack or chip. Then he or she will vacuum out the damaged area and apply our own advanced resin, which repairs the cosmetic damage and forms a strong bond with the glass. Our technicians are highly trained in our windshield repair techniques and materials, but they are also trained to offer the highest levels of customer service -- so your SuperGlass windshield repair in Littleton will be a pleasant experience designed around your convenience. Don’t drive around with potentially dangerous windshield damage. That chip or crack may not look like much, but it can spread and also increases the risk of your windshield breaking or shattering! Plus, windshield damage can affect the value of your car. Avoid all those problems by calling SuperGlass today for quick and efficient Littleton mobile windshield rock chip repair services. 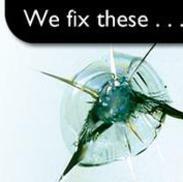 Copyright 2012: Superglass Windshield Repair | Windshield Chip Repair Denver | All rights reserved.